I wanted to share with you some of the best co op board games that I have played. And I also added a bonus game that I want to play after hearing friends reviews of the game. And for reference you can quickly read our definition of a co op game here. I have played this game with several different groups of friends and family. I have yet to have a group that didn’t like it. While I generally prefer two player games, Pandemic is one that I love to play when we have a game night. My friend John taught me this game when we worked together. He showed me and 2 of my other coworkers. It was really fun because it became a team building exercise even though that wasn’t the purpose of playing. Another great memory of this game was when I challenged my brother to a competitive Pandemic “tournament”. Basically all we did was take turns playing the game solo. Whoever was playing would control all 4 characters. We chose roles and the order the roles went. But we set the game difficulty as high as it could go. It was still hard to beat the game but it was probably the most fun I had playing. But I am naturally a competitive player. 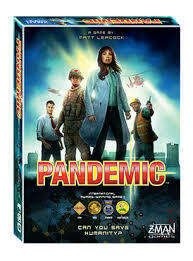 I have played this game (the dice version) less than the original Pandemic board game. But I thought it was still pretty fun. While I didn’t like it as much as the original. I think it’s much easier and quicker for new players to learn. The different roles feel very unique and their special actions seemed to make a lot of sense. Our group beat the game easily the first time we played. I can’t remember what difficulty we played on but it felt too easy. I have read others playing the game and having trouble so it is very possible our difficulty was too low. Or we just got really lucky with our dice roles. Either way, this game is worth trying if you are into cooperative games. I played this game at gencon one year with my mom and brother. It was just the demo version at the time but I was hooked. If you haven’t gone to a board game convention, then you should try one. They are a lot of fun! I love base defense type of games so this fit me well. Actually I like these types of games so much that I tried to make one myself. But apart from the demo I have also played this game all the way through several times. I played with 2 players for sure and I remember it being somewhat easy. But when we had more players (3 and 4) the game got a bit harder. Castle Panic is really fun and another great co op game to build teamwork. Dead Panic was a little bit harder to understand how to play. And it also can drag out to be a really long game where the last 1/3 of it feels like there is no hope. But this is common for zombie type games. The snowball affect comes with the theme. Most of the games were really fun though. Especially when you are able to keep the zombies out of your base. The added complexity gives players more options to take on each of their turns. 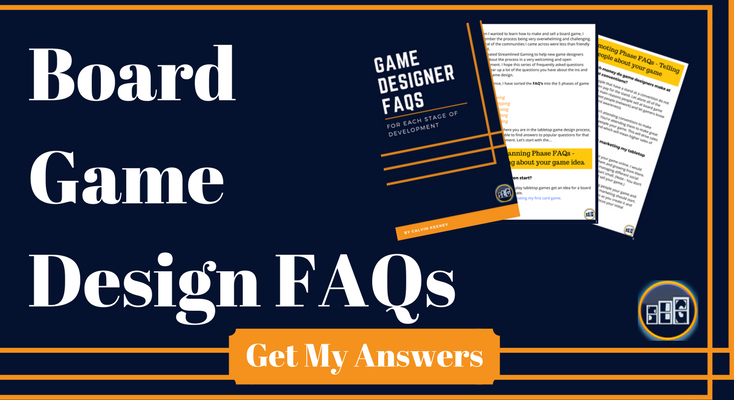 **Note – This is a standalone game and you don’t need to have Castle Panic to be able to play this game. So you can pick which theme you like most (Trolls vs. Knights or Zombies vs. Humans) and start with that. This game is really fun with the right people. I have found it really enjoyable with just one other player as well. If your group is good at agreeing on how to play a game with a somewhat obscure rule, then you will probably like this game. It is very simple and… well let me just tell you the rule. In this game you play cards going from numbers 1-100 and down from 100-1. Your teammates give you hints as to what card you should (or shouldn’t) play. You then have to make educated guesses to play the best card possible. The rule is “Players can’t say concrete numbers”. And then they would look at the candle holder that had 5 candles on it. Half of us thought this was cheating and the other half didn’t. So this made the game not as fun. However, it was actually quite funny because it wasn’t long before some of the hints that seemed obvious started to get misunderstood. Anyways… I think The Game is really fun overall. It is very simple and quick to learn but hard to master. I like playing it with my brother and mom. Because after we play a lot of games like this then we start picking up on subtle hints from each other in everyday life. That is where the real fun is! I got this game for my birthday one year. My brother’s girlfriend got it for me because she knew I liked Pandemic. This game has a lot of the same feel that Pandemic does. I felt it was a lot more simple and not as hard to win. But it was still a good challenge and a great cooperative game for families to play together. Kids would enjoy this game as their first cooperative game. I like the theme a lot. Your team is on an island that is starting to flood. You must find the 4 sacred treasures and escape the forbidden island before the treasures are lost… forever. Or before you die in the flood. Whichever comes first I suppose. Haha! My quick review – Get this game if you want a lighter and quicker version of Pandemic. It’s a great cooperative game to play with players of all levels. This was the most complicated of the co op board games I have played. I love a good challenge though so it was really fun once I figured out how to play. I’m also a fan of the artwork that the game has. There is a cool aspect to this game that is not common in cooperative games. One player can win by escaping the submarine and having the Kraken eat the ship. This may not be EXACTLY how it worked but I remember it being an interesting concept. It’s been awhile since I played the game and the several times I played no one won individually. We either won or lost as a team. So if your group loves a good challenge then this is one of the best co op board games for you. I have not actually played this game but I want to and here’s why. Several of my friends talk very highly of this game and say it is the most challenging co op board game. It looks like it would be another good cooperative game for me to play solo. This doesn’t make a lot of sense I know (Playing a co op game by myself). But I enjoy the puzzle solving aspect of co op games so much that I don’t mind playing them solo as well. If you and your group are wanting a very tough challenge then I hear this is the board game for you. From what I can tell the theme is straight up survival in the wilderness. So if you are someone that enjoys intense camping trips (or even the idea of it) then this might be the game for you. **Note – There are 2 versions of this game. From what I hear both versions are the same game. However, the 2nd edition has a much clearer rule book than the 1st edition. What’s Your Pick for Best Co Op Board Game? What is your favorite cooperative board game? I am always looking for some new games to try so let me know in the comments below. I could have sworn I had Hanabi on this list but I do not. haha. I don’t even remember what list I put it on if any but I really enjoy that game. Thanks for the suggestion Brenda!